Our life-size Koala model would be an ideal addition for an Australian theme and would compliment our life size Kangaroo, or Possum Ringtail models. 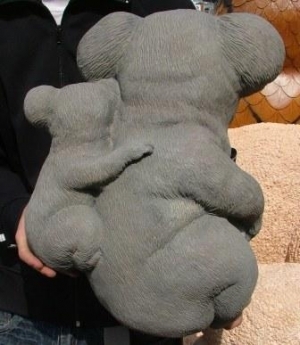 This 2ft cold-cast poly-resin and fibre-glass 3d model of the Koala with its baby clinging to her back. 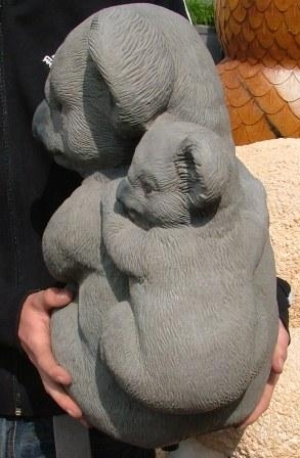 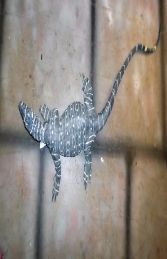 This marsupial would look good hidden in amongst a eucalyptus tree, which would suit any themed bar, restaurant, zoo, museum, advertising or drawing attention to your business or for the home and garden.